Used Washing Machine died while working hard, surrounded by his longtime partner, Used Dryer. Used Washing Machine was born sometime in the late twentieth century, and was neither modern nor efficient. He was born into a good home, but was later adopted by the Okayest Family of Virginia. They worked him too hard for too many years. He died with a load of twin laundry inside and sadly gunked up the last load with his innards. It was a gruesome death. The Okayest Family was unsuccessful in trying to revive him. Used Washing Machine enjoyed his early life with the Okayest Family. In the early part of the twenty-first century, Used Washing Machine led a quiet life. He was only used twice each weekend, for one load of darks and one load of whites. In his later life, as the Okayest Family grew, he was expected to perform two to three times each day. He was especially unhappy with the Cloth Diapering Decision of 2010, the Birth of Twins in 2012, the Okayest Family Great Intestinal Apocalypse of 2013, and Potty Training. Used Washing Machine experienced a major overhaul during his midlife crisis. His owner, Mr. Okayest, once took him outside to determine the cause of the moldy smell. While he enjoyed his first taste of sunshine, he was embarrassed to be taken completely apart and to show his private parts to the whole neighborhood. He retaliated by continuing to emit a moldy smell for the rest of his life. Used Washing Machine is survived by his longtime partner, Used Dryer. 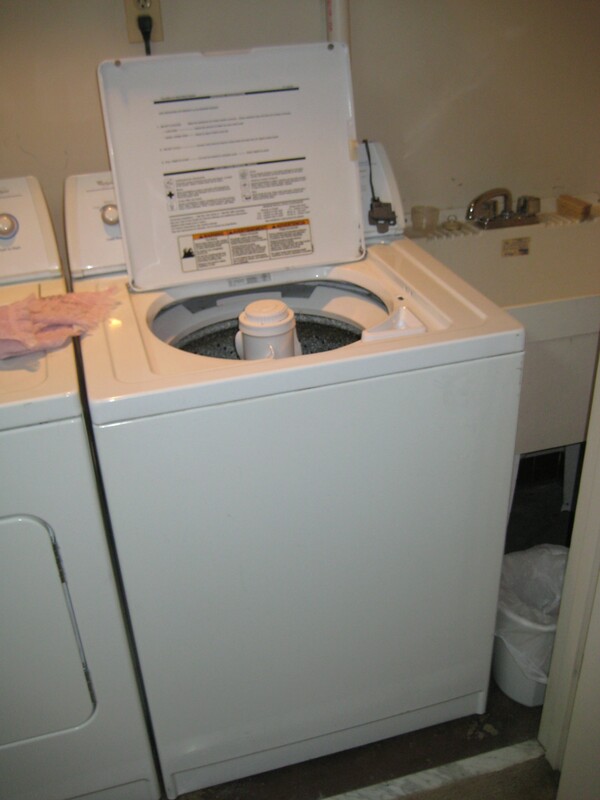 Used Dryer has been repaired many times by Mr. Okayest, and most often lets his thermostat be replaced. In lieu of flowers, Used Dryer is hoping that someone will send him a new partner to be by his side for the rest of his life. The funeral service will be held at the dump. We have used washer looking for a loyal partner, while our clothes hang and mourn over their friend dead dryer. They are now crispy and sad.